The accurate exposure is the key of capturing high-quality photos in computational photography, especially for mobile phones that are limited by sizes of camera modules. 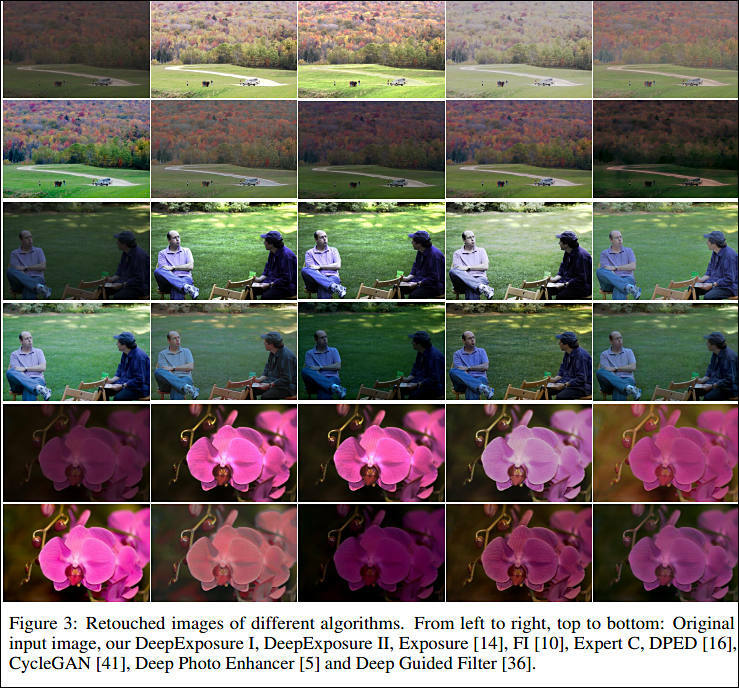 Inspired by luminosity masks usually applied by professional photographers, in this paper, we develop a novel algorithm for learning local exposures with deep reinforcement adversarial learning. To be specific, we segment an image into sub-images that can reflect variations of dynamic range exposures according to raw low-level features. 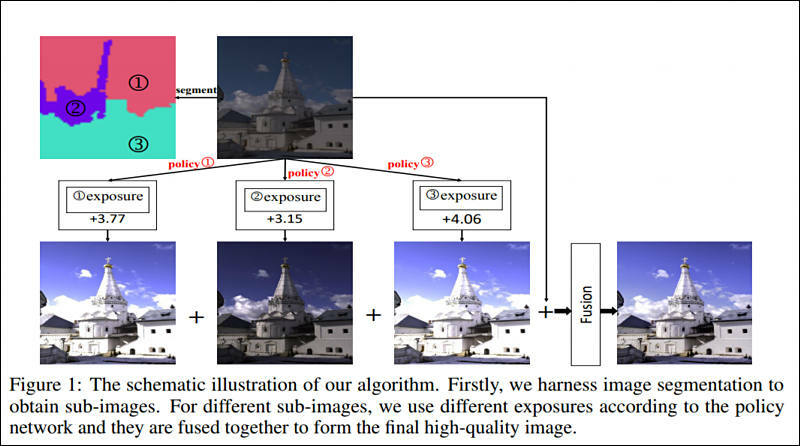 Based on these sub-images, a local exposure for each sub-image is automatically learned by virtue of policy network sequentially while the reward of learning is globally designed for striking a balance of overall exposures. The aesthetic evaluation function is approximated by discriminator in generative adversarial networks. The reinforcement learning and the adversarial learning are trained collaboratively by asynchronous deterministic policy gradient and generative loss approximation. To further simply the algorithmic architecture, we also prove the feasibility of leveraging the discriminator as the value function. Further more, we employ each local exposure to retouch the raw input image respectively, thus delivering multiple retouched images under different exposures which are fused with exposure blending. The extensive experiments verify that our algorithms are superior to state-of-the-art methods in terms of quantitative accuracy and visual illustration.